A marble memorial in Kirkby is one of the best ways of remembering a loved one. Marble is a very beautiful white stone that can be carved into any design imaginable. It remains pure and white for many years and most of the ancient statues were made of this material. They have kept their form for thousands of years and you can expect your memorial to stay bright and clean for many years. Old memorials can be renovated and cleaned if pollution has tarnished the marble. This is a truly versatile stone with a unique look of semi-transparency and luminosity. This is especially true when the stone is highly polished. It reveals a soft finish which is not obtainable by harder stones. The corners can be softened and rounded to allow for a gentle and tactile finish. Keeping a memory of a loved one fresh and clear is not difficult with a beautiful headstone. In Kirkby, marble memorial stones are ever beautiful and show the love and respect for a close and much beloved family member. We have many years experience in helping you to find the right wording for the memorial. This is one of the most important parts of any memorial stone as it puts into words the deep emotions and feelings in your heart. People will forever after read the inscription and know that here lies someone who was greatly loved by all. This is the way all of us wish to be remembered. 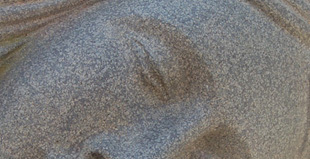 We supply and erect marble memorials in Kirkby in a wider range of styles and designs. Contact T. Lyon & Son today or visit our showroom and discuss your requirements with us. We have been manufacturing memorial stones since 1929 and aim to provide quality and longevity in all our products. With our decades of experience we can provide expert advice on how to design a unique memorial to reflect the memory of the ones you love. We are acknowledge as experts in the cutting, shaping and finishing of stone.